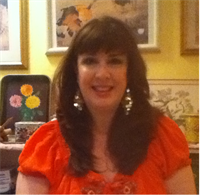 Mary Helen is a licensed acupuncturist, and is nationally board certified in Oriental Medicine, Chinese Herbs, and Acupuncture. She is a Professional Herbalist with the American Herbalist Guild, practicing both Western and Chinese herbology. She is certified in Aromatherapy, Flower Essences, and Reiki. She also has training in Diet & Nutrition, Homeopathy, Bio Magnetics, Diagnostic Screenings, Tibetan Medicine and Shamanic Healing. Mary Helen has been in practice since 1991 and loves to treat animals as well as people. She teaches an annual class on detoxification to other acupuncturists and medical professionals, that is also open to the general public. For acute issues, the first session is 1 hour/ $75. For chronic issues, the first session is 2 hours/ $150. First time pet consult is 1/2 hour/ $40. First time pet consult with acupuncture: 1 hour/ $75. Follow up pet acupuncture is 1/2 hour/ $40. We have a large natural pharmacy. We make our own line of organic concentrated herbal extracts combining Chinese and Western herbs. We also custom make herbal formulas and flower essences, and brew our own kombucha tea. We carry a wide array of vitamins, minerals, nutritional supplements, homeopathics and essential oils. Affiliations American Association of Acupuncture and Oriental Medicine, the Illinois Association of Acupuncture and Oriental Medicine, and the American Herbalist Guild. National Commission for the Certification of Acupuncture and Oriental Medicine-Certified in Oriental Medicine-2005, Chinese Herbology-2001, Acupuncture-1992. American Herbalist Guild- Professional Herbalist since 2002. Office Staff Conan Milner, B.F.A., A.H.G., has been the herbal pharmacist and clinic manager at White Moon Healing Center since 1998. He is an herbalist and member of the American Herbalist Guild. He has extensively studied Oriental medicine, Chinese and Western herbalism, homeopathy and qi gong. Conan is a health reporter for the Epoch Times and is active in the Chinese human rights movement to end the persecution of Falun Gong practitioners. We offer phone consultations for people who live out of town or who are not able to come into the clinic. We mail out orders from our pharmacy all over the country. Basic First Time Medical History: For those who want treatment for acute issues, like a cold, UTI, allergies, or minor injury. Includes brief review of your medical history, an acupuncture treatment, and herbal recommendations. 1 hour, $75. Animals: For first time pets, most animal cases can be handled without bringing your pet into the clinic. We can review your animal’s medical history over the phone or in person. We will cover nutritional, detox and herbal recommendations. ½ hour, $40. Ear Candling: This is a gentle and effective way to remove excess wax, oils and fluids from the ears due to chronic ear or sinus infections, swimmer's ear, or for clearing the blockage from a head cold or allergies. Half hour session $40 (+$7 for candles). Reiki Energy Work: Get the unique benefits of spirit guided laying on of hands energetic healing, chakra balancing and the intuitive insights that come up during this work. Often health issues originate from blockages in the aura or energy body that have been around for many years. These can be cleared through this energetic and emotional healing. Includes herbal smudging and sound/vibrational healing with chakra tuning forks and Tibetan chimes. 1 hour session $75.